Diplomate American Board of Orthopaedic Surgery. Available for consultations, second opinions, and evaluations by special arrangement and appointment for Northern and Southern California, Northern and Southern Nevada, Utah, Oregon, and Washington. Oakland, San Francisco, San Jose, Roseville, Turlock and Fresno. Education: Los Angeles City College, A.A.; University of Southern California, School of Pharmacy, Pharm. D.; University of California, Irvine, School of Medicine, M.D., Rotating Internship USC, Los Angeles County General Hospital; Residency in General Surgery, Cedars-Sinai Medical Center; and Residency in Orthopedic Surgery, University of Miami Medical Center. Society Memberships: American Academy of Orthopaedic Surgeons, American Orthopaedic Foot and Ankle Society, North American Spine Society, American Back Society, American Cervical Spine Society, American College of Sports Medicine, International College of Surgeons, California Orthopaedic Association, San Francisco Medical Society, Alameda-Contra Costa Medical Society, California Medical Association, Clark County Medical Society, Nevada Medial Association, and Arizona Medical Association. Appointments: Medical Expert Social Security Administration Office of Hearings and Appeals; NFL Players Association; Second Opinion Panel with Assignment to the Oakland Raiders and San Francisco 49ers. Academic Experience: Former Clinical Assistant Professor, Orthopaedic Surgery, University of California, San Francisco School of Medicine, Department of Orthopaedic Surgery and the San Francisco General Hospital; Former Attending Physician UCSF Foot and Ankle Clinic. Former Special Assignments: Redwood High School Football Team Physician, Larkspur California, U.S. Surgical Team, Orthopaedic Trauma Hospital, Zagreb, Crotia, during the Bosnian War in Cooperation with Croatian Government Ministry of Health and the University of Zagreb Medical Center; Former Spine Consultant Department of Defense. 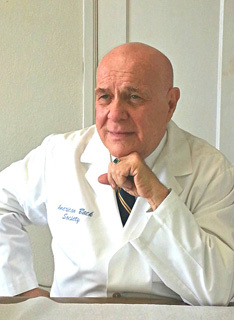 Current Educational Activities: Executive Director American Back Society; Editor, ABS Newsletter; Coordinator ABS Educational Programs and Research Development; Administrator, American Cervical Spine Society; Lecturer at National Scientific Meetings in the field of Back Pain. © Copyright 2014 Dr. Aubrey Swartz. All rights reserved .